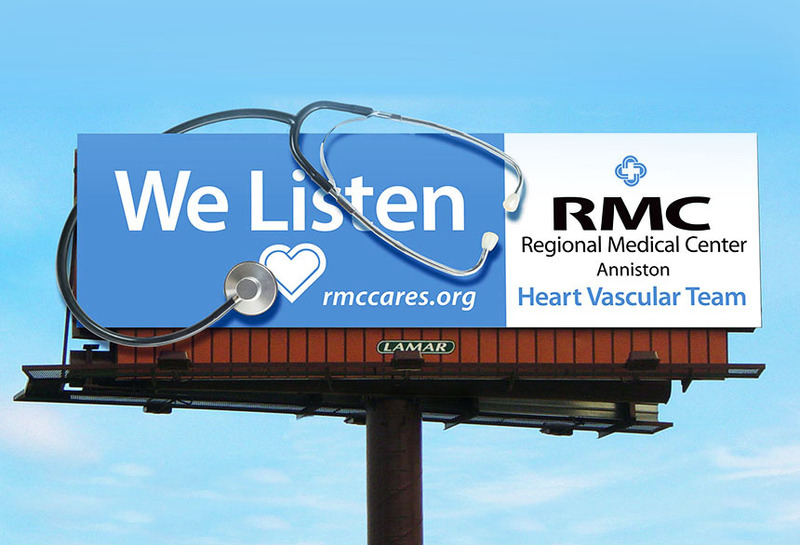 The Anniston, AL Regional Medical Center (RMC) ran brand marketing campaign using Lamar's bulletin billboards. The design included an eye–catching 3D extension; the larger-than-life stethoscope could not be missed by passersby. Therefore, when consumers thought of Heart and medical health, the Regional Medical Center came to mind.